Michigan Alpha has one of the most distinguished and longest histories of any fraternity on campus. Learning about the history of our notable house and the famous members is a key part of the active chapter's commitment to maintaining a sense of continuity in the fraternity and respect for tradition. 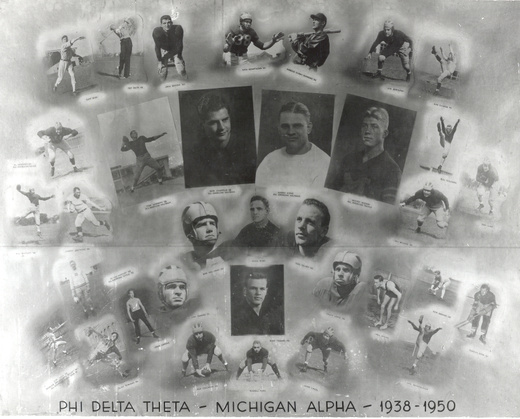 The Alumni Association has initiated the "Michigan Alpha Heritage Project" to better understand, document and preserve the history of the chapter. During the pledge education program each semester, the next generation of Phis is taught about our historic house, chapter milestones and famous alums. The active members take great pride in knowing that they are following in the footsteps of men like brothers Tom Harmon '41, Bob Ufer '43 and Bob Chappuis '48 who are part of U of M lore. While we have information about many of our most illustrious alums, the Alumni Association would like to collect photos, recollections and old Sword & Shields that tell the broader story about the history of the chapter. 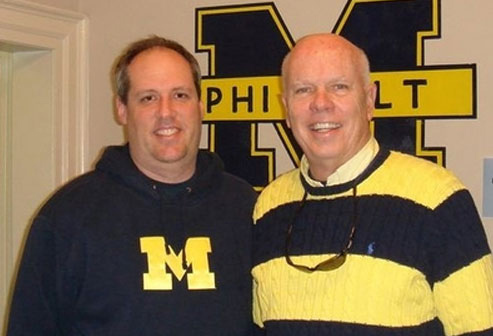 Earlier this year, the Alumni Association contacted a number of alums with the longest membership in Michigan Alpha to see if they would be willing to share their memories. We are pleased to report that Martin Newcomer '38, Robert Cooper '38 and Ted Spangler '40 favorably answered our appeal. They have provided us with fascinating pictures and recollections that give us new insight on fraternity life and the condition of the house in the late 1930's. Now we are asking for your help with the project. If you have stories, photos, Sword & Shields or memorabilia that would help to tell the story of Michigan Alpha's history, we ask that you send this information to the Secretary of the Alumni Association, Greg Karmazin '87, at 26110 Harbour Pointe Drive S., Harrison Township, MI 48045.